The world’s biggest club derby happens this weekend as Real Madrid host Barcelona in ‘El Clasico’, at the Santiago Bernabéu. 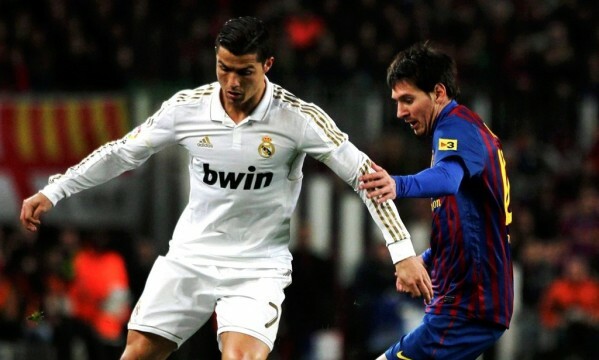 The two power houses in Spanish football lock horns for the first time this season and we are going to provide you with free football betting tips and prediction. Barcelona climbed back to the top of La Liga last weekend, after Real Madrid lost their unbeaten start to the season losing 2-1 at Sevilla. The eyes of world football will be watching on Saturday evening as there is always high drama when the pair meet. The timing of the meeting isn’t ideal for either club. With both having so many stars away on international duty, leaving both managers less time to prepare their teams for the showcase game. Under Rafa Benitez Real Madrid have been a much more organised team, as the Spaniard prides himself on team discipline. Normally Madrid play with a carefree attitude with a “we will score more than you policy”. So far this season Real have only conceded seven goals in La Liga. Real Madrid haven’t won the La Liga title since 2011/12 season, something Benitez will need to put right otherwise he will be the next name added to the list of ex managers. Barcelona went back to the top of the table with a convincing 3-0 over Villarreal. Although the champions are top, many in Spain think that they are below the levels they showed last season. Some of the media feel that some compliances had crept into their game. Barcelona boss Luis Enrique was quick to play down these reports, since losing to Celta Vigo and Sevilla, Barça have gone on a fantastic run, looking back to their near best. Enrique seems to have sorted out the frailties in the Barça backline, having conceded twelve goals in seven games they have now kept four clean sheets on the bounce. Since losing talisman Leo Messi with a knee problem in late September, the form of Neymar has been sensational! The Brazilian captain has netted ten goals since Messi’s injury, taking his tally to eleven goals in ten games. Right now Neymar is arguably the best player on the planet. This is the most anticipated fixture in world football, with two of the all-time greats gracing the field. 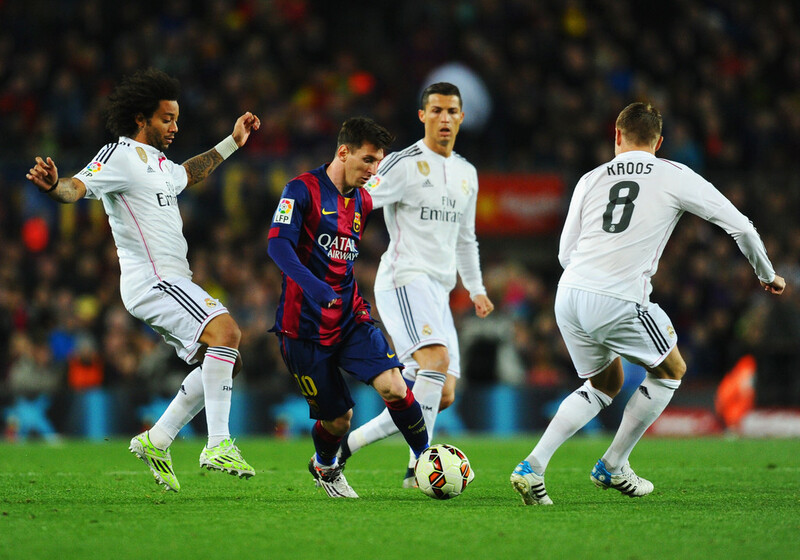 In Cristiano Ronaldo and Lionel Messi the pair have won a staggering seven Ballon D’Or between them. The debate will rumble on as to who is the better player. The pair have lit up this fixture over recent years. The duo’s goal scoring records are breath-taking, between them they have a scored a staggering nine hundred and sixty eight goals! Although the pair are hugely important to their teams, this season has shown that their influences maybe dwindling. Ronaldo hasn’t hit the same heights as last season as yet, only scoring eight La Liga goals. With Gareth Bale now preferred in a more central role. Messi has missed the last ten seven weeks with a knee injury, giving Luis Suarez and Neymar the chance to shine. With so much at stake both teams will need to keep their cool, something that both have struggled at times in this fixture. This season it the Barcelona front players that top the bad boy list. Neymar and Suarez have both been booked three times this season. Barcelona’s only red card was this season was shown to Javier Mascherano. Real Madrid’s bad boy has been Raphael Varane, the centre back has been booked three times. Real Madrid captain Sergio Ramos is one that the referee will have a keen eye on, as the defender has been shown a jaw dropping 130 yellow cards and 14 red cards in his club career. Last season the pair both won their home games: Real Madrid won 3-1 at the Bernabéu thanks to goals from Ronaldo, Pepe and Benzema. Barcelona returned the favour at the Camp Nou, beating Real 2-1 with goals from Mathieu and Suarez. Real Madrid have won five of their last six home games, drawing the other. They have only conceded one goals at home during those games, scoring twelve. The champions haven’t be as convincing on the road, as Barcelona have only won two of their last six away games. Goals also aren’t as easy to come by on their road, as Barça have only netted seven goals in six away games, compared to eighteen in six at home. Real Madrid star Sergio Ramos is set to play with the help of a pain killing injection. Madrid’s captain injured a shoulder whilst scoring against Sevilla, Ramos is set for surgery early next week to correct the problem. Full- backs Marcelo (hamstring) and Daniel Carvajal (knee) will both have to sit out this weekend. Goalkeeper Keylor Navas (thigh) Isco (back) both only have a 50/50 chance of playing. Isco has been out form the last three matches and only has a small chance of playing, Navas picked up his problem on international duty and will be assessed on his return. French striker Karim Benzema has a thigh strain that kept him out of the trip to Sevilla, and both of France’s games during the break. The striker will be given until the last minute to prove his fitness. Luis Enrique has been lifted by the news that Leo Messi is fit to return, following a long layoff with a knee problem. The superstars return to action comes at just the right time for the champions. That’s where the good news ends as midfield heartbeat Ivan Ratitic, pulled his calf playing for Croatia and will be out for 3/4 weeks. Full-back Douglas is out until the New Year with a knee ligament problem. Rafinha won’t be seen again this season, after the midfielder ruptured his ACL. The youngster has targeted a return to action early next season. Real Madrid have won the last two meeting at home, when the clubs have meet. 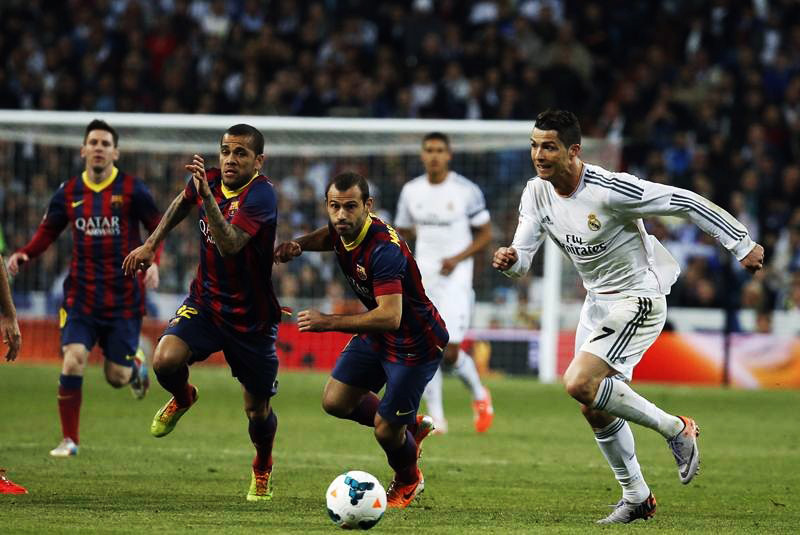 Barcelona did win at the Bernabéu in March of 2014, just edging a seven goal thriller. A staggering stats: in the last fourteen games both teams have scored in this fixture, so at 2/5 I would jump on quickly as it will only get shorter. I’m not sure bookies know how to price this as Madrid at 29/20 looks good value. Both teams are closely matched and I think it may well end up a score draw. The odds for draw and both teams to score is priced at 16/5, this looks like a still to me.